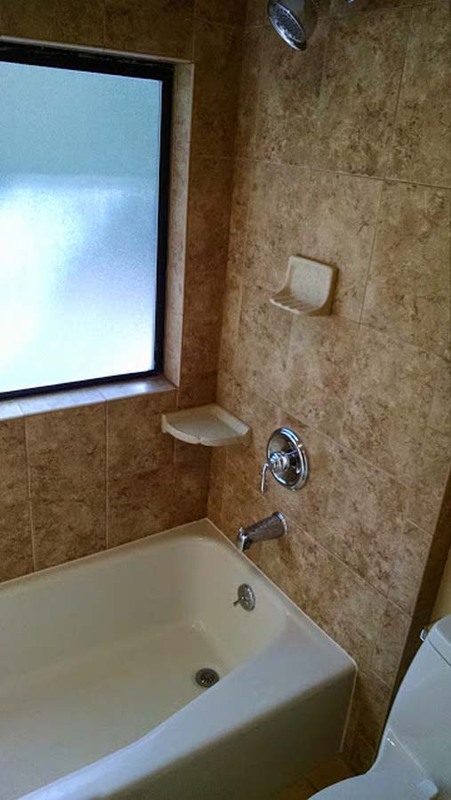 This bathroom had extensive water damage in the exterior wall caused by leaking roof flashing. A ballpark estimate for doing the water damage portion of the project was given. 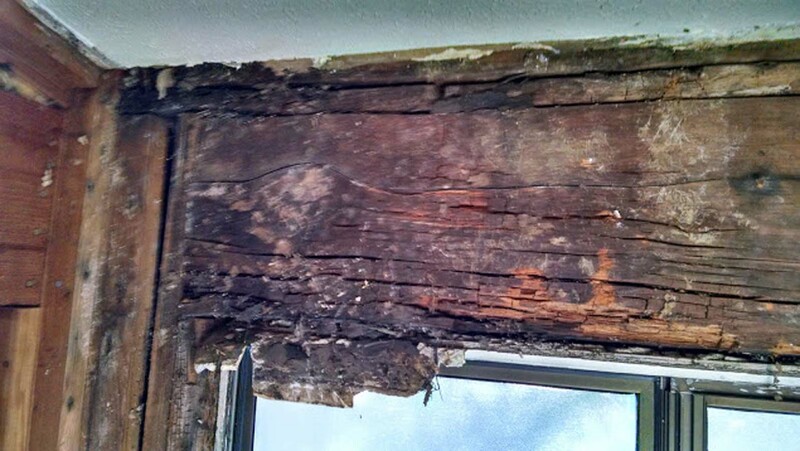 The estimate was based on the belief that the water damage not only was in the wall, but extended to the subfloor under the bathtub. 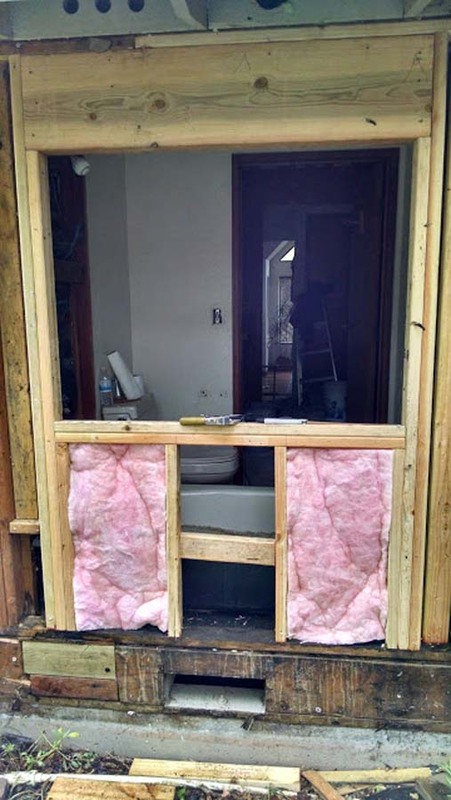 The homeowners were pleasantly surprised to find out that the water damage was isolated to the window header, and wall only. The water damage portion of the project was completed for less than the ballpark estimate. 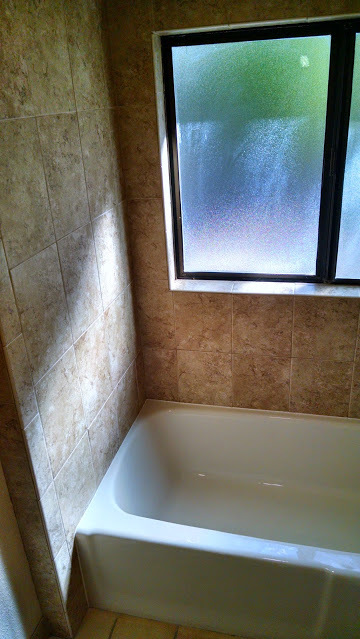 After photo of new tile work. 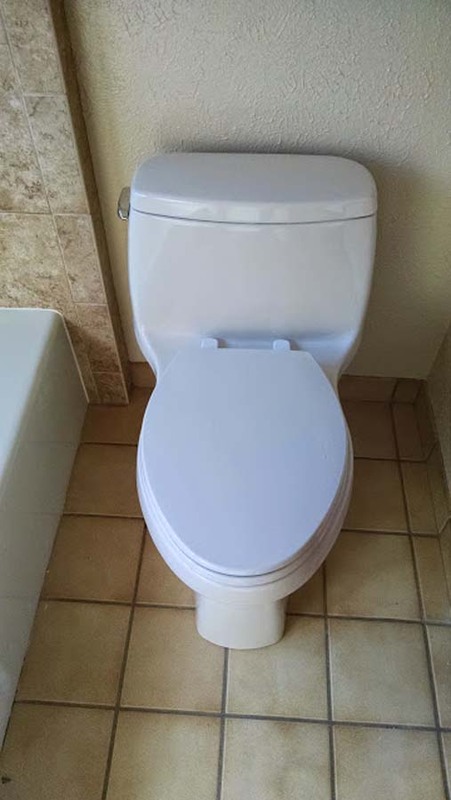 New one piece Kohler toilet. Water damage to window header. Water damage repairs being made. Project complete. Water damage to window header. Water damage repairs being made.